Do you want to win big money quick? Don’t we all wish of the same? Unfortunately, many nefarious individuals are making good use of this desire. Lottery scams abounded in 2017, showing two things – A. people are gullible and B. there will always be someone to take advantage of their gullibility. 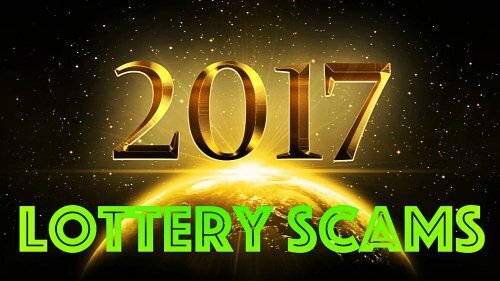 A number of lottery scams became popular in 2017. 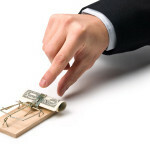 If you are one of the people to rush into an opportunity for some quick bucks, you may want to examine the following prominent fraud schemes that have led to nothing but trouble. Euro Raffle Promotion? You Better Think Twice! As usual, some of the biggest lottery scams focus on the games known to produce the most spectacular jackpots. The Euro Raffle Promotion scam is no exception because it targets the insanely popular EuroMillions. The 2017 Euro Raffle Promotion is an email lottery scam. The message is received from Euro Raffle ([email protected] – doesn’t it seem fishy already?). The email claims that the recipient has won two million euro as a part of a special EuroMillions raffle promotion. In order to make a claim for the millions, the recipient has to respond to the email and provide a lot of personal information – their name, address, age, email address, telephone number and even marital status! Experts once again warn that it’s impossible to win a lottery, a raffle or a sweepstake that a person hasn’t entered on their own. 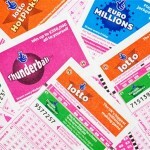 In order to claim any EuroMillions prize, you have to buy a ticket. Official lotteries like EuroMillions do not contact people via email, especially to offer bogus prizes in exchange for tons of personal information. In July 2017, a pensioner from Glasgow contacted the authorities to report a phone lottery scam. Fraudsters targeted the old man, offering him 300,000 pounds that he allegedly won from a lottery (that he had never bought a ticket for, of course). The man asked the fraudsters what it would take to claim the prize. He was told that he’ll have to pay 1,000 pounds for processing – a suspiciously large sum. This is when the 75-year-old men knew that something was terribly wrong. He contacted the authorities in an attempt to prevent other people from falling for the promises. This is another quite popular scheme. Over the years, there have been dozens of lottery scams that demand a commission or a processing fee that the lucky “winner” will have to send over before the large prize is received. It’s more than obvious that the prize will never come. Some scammers are attempting to get creative in their endeavors. It’s obvious that fewer people are falling for the traditional fraud schemes, which is why new ones are being crafted into existence all the time. The Google Online lotto scam is one of them. This scam is one of the newest – it’s been reported only in November 2017. Once again, scammers rely on an email message. It’s supposedly sent by the South African National Lottery in a special partnership with Google Online Lotto (whatever the heck that is!). The email claims that the recipient has won 500,000 dollars as a result of an email address raffle draw. The award is a part of a promotional program aimed at increasing Google usage (as if Google needs that!). Just like other scams, this one claims the recipient has to act fast! It’s urgent! For the prize to be received, personal information has to be provided. It’s very important to immediately discard such “urgent” messages. The words are chosen carefully to create a sense of having to act fast. In such situations, people are likely to make impulsive decisions without taking the time to process the information logically. Any email that is giving you access to an offer about to expire in the near future is a scam that should be reported and deleted. Why Not Throw the BBC in? One approach that scammers rely on is throwing in a reputable name that people tend to trust. The BBC One National Lottery Scam is one such example. The scam email was sent in circulation in October 2017. The email is sent from [email protected] and once again, it focuses on EuroMillions (come on people, aren’t there other lotteries out there?). The email addressed to “dear lucky winner” states that the recipient has won from the BBC National Lottery charity bonanza. The respective email address has won 15,209,900 British pounds – at least they’ve gotten creative with the numbers. To claim the prize, recipients are once again asked to provide personal information. These scammers, however, have taken it to the next level. They demand bank name, account number and even a bank office branch. Needless to say, you should never share information about financial accounts, credit card numbers and other payment methods with anyone. Now for the good news – one very prominent lottery scam was finally busted in 2017. The Jamaican lottery scam came to an end after a number of people were arrested. A mother and son duo operated the scheme from their house in Kingston. Over the course of the entrepreneurial endeavor, they banked more than 5.7 million dollars by scamming at least 90 people in the US. Both of the arrested individuals have agreed to plead guilty. Apart from the mother-son duo, there are four additional suspects who will face the court in January 2018. Two other scammers remain fugitives in Jamaica and the American authorities are working hard to bring them to justice. Sometimes, people don’t scam other people by pretending to be lottery reps. Sometimes, they scam the lottery itself. A man from Iowa was sentenced to up to 25 years in prison in August 2017. The sentence was the result of the former computer programmer rigging PCs in an attempt to pick winning numbers by cheating and to claim over 2.2 million dollars in undeserved lottery prizes. In an interview immediately after the sentencing, the man called Eddie Tipton said that he regretted his actions (of course, most scammers do after getting caught). Under Iowa laws, Eddie will have to serve anywhere between three and five years in prison before his sentence gets reexamined. Being an insider who abuses their position for personal gains is seen as a major crime, which is why Eddie will have to deal with the repercussion. Hopefully, more lottery scammers will follow in his footsteps.